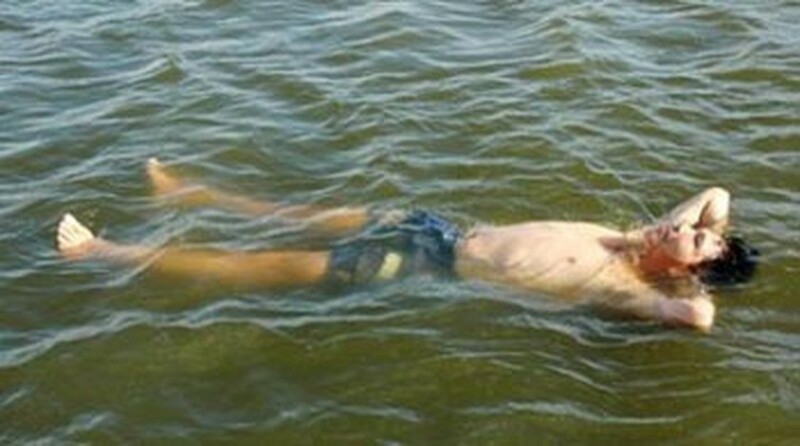 A 47-year-old man, a shrimp breeder from the Mekong Delta province of Ca Mau, has a special and strange ability to float upon the water’s surface by himself for several hours. Shrimp breeder Hua Hoang Cuong, in Dam Doi District, said that he suddenly discovered his extraordinary ability one month ago. Hundreds of curious people have come to see the man float in his hometown and neighboring Bac Lieu Province, where he often performs his ability at request. Mr. Tran Ngoc Phuong, Deputy Director of the Department of Culture, Sport and Tourism of the Bac Lieu Province said that Mr. Cuong is one of the rare people who can float on water. An old woman, 82, Tran Thi Dang, of Vinh Long Province and a 6-year-old boy Tran Thinh Tien of Tien Giang Province, both in the Mekong Delta, have also demonstrated their ability to float on water.